An annual exam is a standard procedure that we conduct but it is up to you to keep watch and make notes about your pet’s health and behavior. 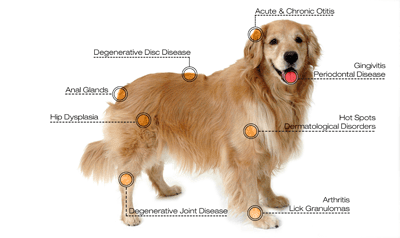 Our comprehensive full body examination of your pet will help ensure optimal health. Please come to us with anything that you notice or any questions that you may have. For pets over 7 years of age, bi-annual physical exams are recommended. Bring a fresh stool specimen to have evaluated for internal parasites. If indicated, a fresh urine specimen may be required to evaluate your pets urinary system. Spaying or neutering can be done at approximately four months of age. Your pet is given an exam prior to surgery to help determine if they are healthy enough to undergo the surgical procedure. Current vaccinations are required at the time of surgery. The night before surgery, withold food (and treats) after 9pm. When you get up in the morning withhold water intake after 7am. Also a pre-anesthetic blood screen is recommended prior to undergoing anesthesia and surgery and will be preformed the morning of surgery. We work with you and your pet to help manage any pain after surgery. Your veterinarian may alter these recommendations for individual patient needs. We will examine your pet's teeth during their annual or bi-annual exam to determine the best schedule for your pet. Just like people, individual pets develop tartar and oral disease at different rates. Many large dogs can go for one to three years without a cleaning at your animal clinic. However, most smaller breeds need a professional cleaning every six to twelve months. However, by brushing your pet’s teeth at home, you can minimize how often your pet will need its teeth professionally cleaned. Although your pet can catch strep throat, it is very unlikely for your pet to catch a cold or the flu from you. That does not mean your pet can’t have an upper respiratory infection or intestinal disruptions. Coughing, sneezing, vomiting and/or diarrhea can all be debilitating for your pet and we recommend setting up an appointment with our veterinary clinic if your pet is suffering from these symptoms. How often do you recommend performing laboratory tests on my pets? In addition to having an annual physical exam for your pet, we also recommend performing yearly blood work and urine testing. This yearly exam checks your pet's kidneys, liver, blood sugar and blood protein levels. It is very easy to administer these tests at the same time we perform the yearly or bi-annual exam. For our senior pets (over 7years of age) we may recommend some additional laboratory tests. Payment is required at the time of service and we gladly accept cash, checks, care credit, and all major credit cards. You can be pre-approved for credit by going to www.carecredit.com. When you are looking for a veterinarian, make sure you choose a animal doctor that makes you and your pet feel comfortable and safe, and is someone that you can trust. It is important that you also find a supportive, calm and caring environment that both you and your pet are comfortable with. Also, choosing a animal clinic that has additional in-house services can make your pet health care more convenient for you over time. As you look around for the best veterinariay service, we want to exceed your expectations regarding high quality service to you and your pet. We are committed to consistently, offering you quality pet health care combined with compassion and respect for animals. 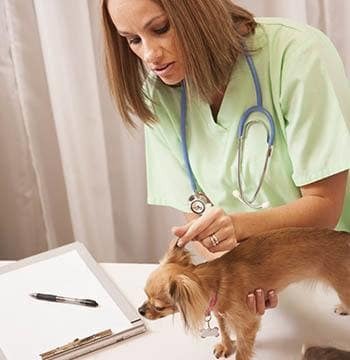 You can be confident knowing your pet is in good hands as we work closely with you to provide the best professional medical attention available. 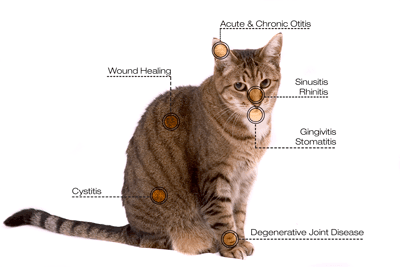 Northgate Small Animal Hospital is excited to offer our clients Laser Therapy Services. Laser therapy provides a non-invasive, pain-free, surgery-free, drug-free treatment which is used to treat a variety of conditions and can be performed in conjunction with existing treatment protocols. Relief and/or improvement is often noticed within hours depending on the condition and your pet’s unique health status. Whether your pet is rehabilitating from trauma or injury, healing from wounds, or simply aging, your companion can benefit from this innovative approach to treating pain.